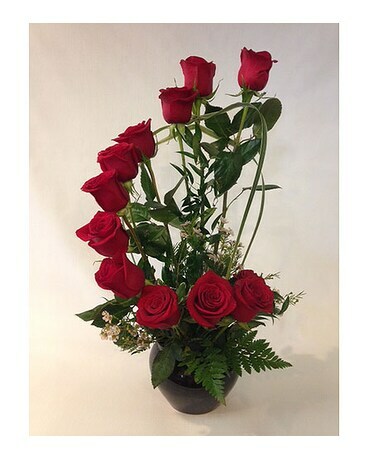 A distinctive take on a dozen roses. Shown in red, but you can select yellow, pink or orange under special instructions. Sure to be a conversation piece!